Sporting Events in or near Knysna, Garden Route in the Garden Route, South Africa. 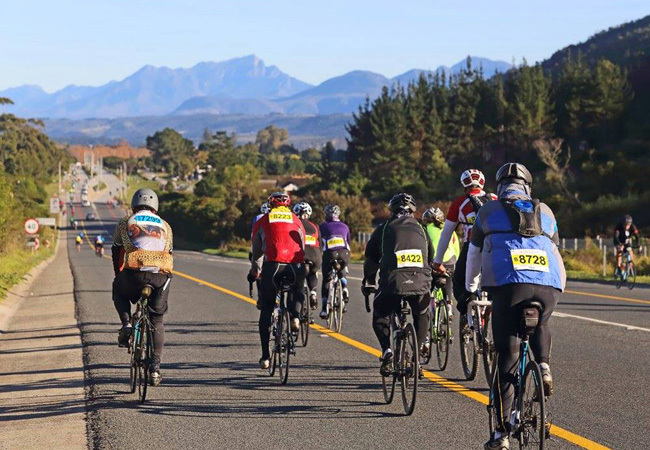 Every year, the magnificent Garden Route hosts the Knysna Cycle Tour; an event for the whole family to enjoy. This is an initiative of the Rotary Club of Knysna, and promises fun for cyclists and spectators alike. This makes for an exciting winter event, during which the beauty of Knysna, and the mountains and valleys that surround it can be appreciated in new light. The route choices have been designed to suit all cycling abilities; from beginners to professionals, young and old. As one of the most scenic races imaginable, it is no wonder that it has proven to be one of the biggest and most popular events in past years. There are road and mountain biking routes from which to choose. The latter include magnificent trails through the world-famous Knysna Forest. Cyclists that enter an event on both the 5th and 6th of July quality for a 10% discount on their entry fee.